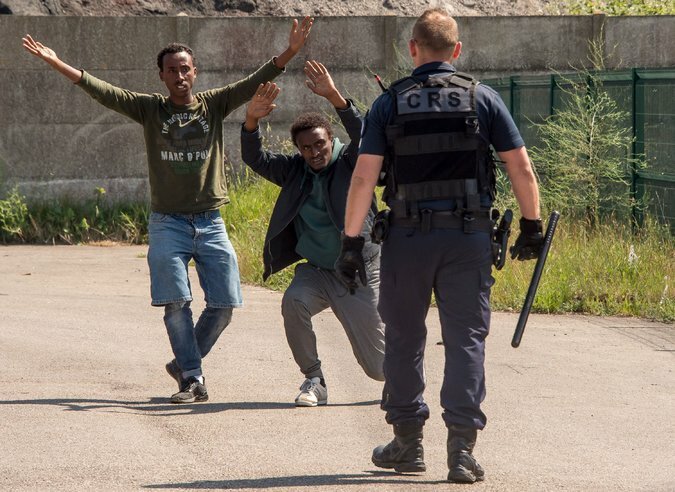 PARIS — New allegations of routine police harassment of migrants in Calais surfaced Wednesday in a report detailing officers’ nearly daily use of pepper spray as well as limited access to food and the destruction of migrant shelters. Human rights workers and around 60 migrants, nearly half under 18, told Human Rights Watch of daily identity checks, shortened hours for aid agencies to distribute food and unsanitary conditions caused by a lack of toilets and water. They also accused officers of using pepper spray with abandon. “There’s nowhere else that I can think of where I’ve encountered to this extent the use of pepper spray on people who were sleeping and especially on sleeping children,” said Michael Bochenek, senior counsel to the children’s rights division of Human Rights Watch. 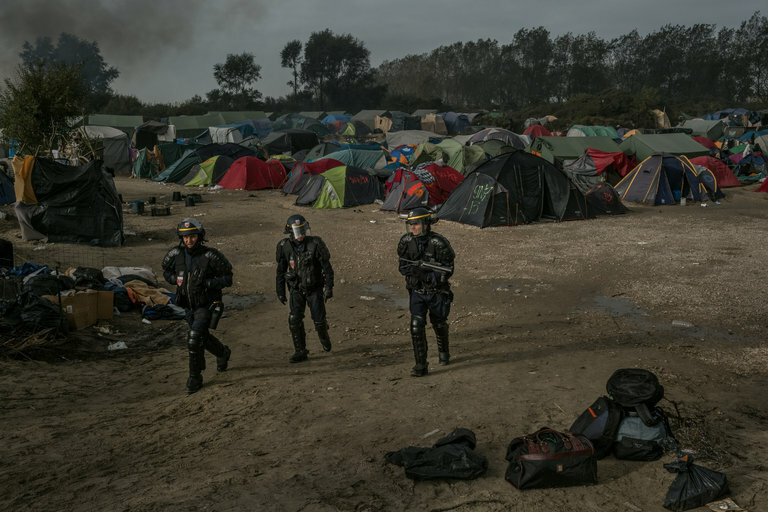 The report documented many complaints about the treatment of migrants that have arisen since the razing of “the Jungle,” an area in Calais where 6,000 to 10,000 migrants, many from Africa, Afghanistan and elsewhere, were living in often squalid surroundings. It was dismantled in October and the migrants were bused to other places around France. Despite efforts to discourage them, migrants still travel in large numbers to Calais, an English Channel city, hopeful that despite many new safeguards intended to stop them from boarding trucks or the Eurostar train bound for England, they will be among the lucky ones to make it to better lives. While they wait, they camp outdoors in scattered groups, sleeping in the underbrush and under highway bridges. There are now an estimated 400 to 500 migrants in the Calais area and perhaps more, Mr. Bochenek said. Mr. Sudry said the police were also permitted to stop migrants from boarding the Eurostar train or from entering Calais’s port area. There have been 17,867 attempts so far this year, he said. Mr. Sudry said his office had received only three complaints about police conduct since the end of 2016, and he encouraged people who believe their rights have been violated to file complaints. Migrants living in insecure circumstances rarely have the wherewithal or the necessary language skills to do so, however, suggesting that number of formal complaints is not an accurate indicator of police abuse. Migrants and aid workers complain that the police often take an aggressive stance toward migrants without provocation. Of the 61 migrants interviewed for the Human Rights Watch report, 57 said they had been hit with pepper spray at some point; 55 said they had been sprayed in the last two weeks. A day after being sprayed, aid workers say, children still suffer eye problems. Understand the world with sharp insight and commentary on the major news stories of the week. It is also routine for the police to confiscate sleeping bags and extra clothes and to disrupt food distributions, especially those that occur at night, Mr. Bochenek said. Pierre Henry, the director general of France Terre d’Asile, an aid organization that helps migrants applying for asylum, denounced the abuse. “Nothing justifies such degrading treatment,” he said. Mr. Henry said the government should make a coordinated effort to handle the migrant influx, rather than relying on the police. More welcome centers are needed where migrants can stay, bathe and eat safely and apply for asylum, he said. A government proposal would create more lodgings for people seeking asylum and greatly speed up the application process. But it would also hasten expulsion of those found not to have met France’s asylum requirements. France’s ombudsman for human rights, Jacques Toubon, said the plan did not go far enough. Like Mr. Henry, he recommended that the government open many more welcome centers to process the thousands who are arriving in France.